We believe that divers should have an easy and comfortable way of keeping their diving memories. That’s why we have developed a seamless solution for maintaining a log book on tablets and smartphones. DiveMate is a unique dive logbook for scuba divers. 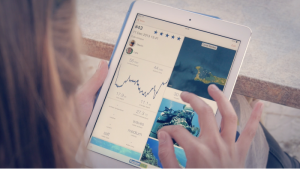 Keep your diving memories with photos, maps, personal notes and your buddies. 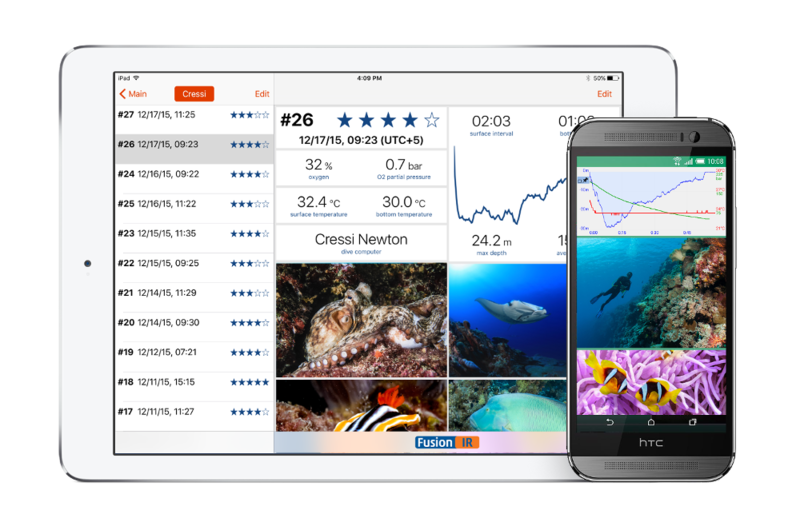 An amazing function of DiveMate is the direct connection of dive computers to your smartphone or tablet. No notebook is required anymore. Supported languages are English, German, for Android also French, Italian, Spanish, Dutch and Russian. DiveMate for Android is available in the PlayStore, DiveMate for iOS in the App Store. 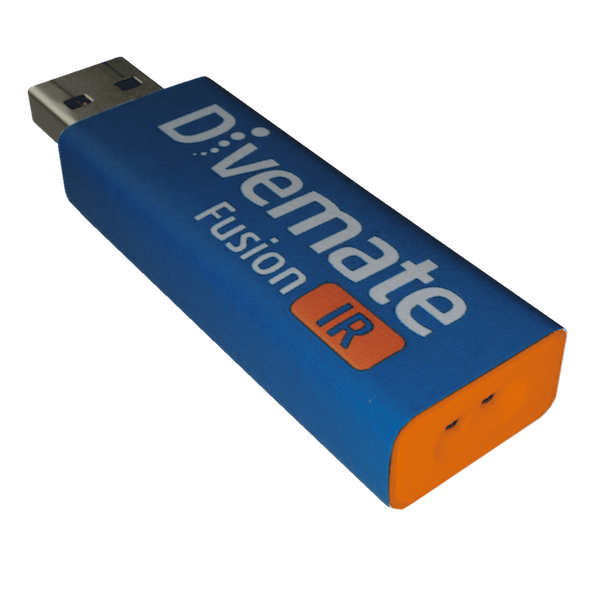 DiveMate Fusion – the perfect dive computer accessory! The FusionIR is the sibling of the FusionUSB and was designed for dive computers with an infrared interface and supports mobile devices running DiveMate for iOS or DiveMate for Android. But you can also plug the FusionIR straight into your PC, Mac or Linux computer. One suits all! Check out the compatibility to see if your dive computer is supported. 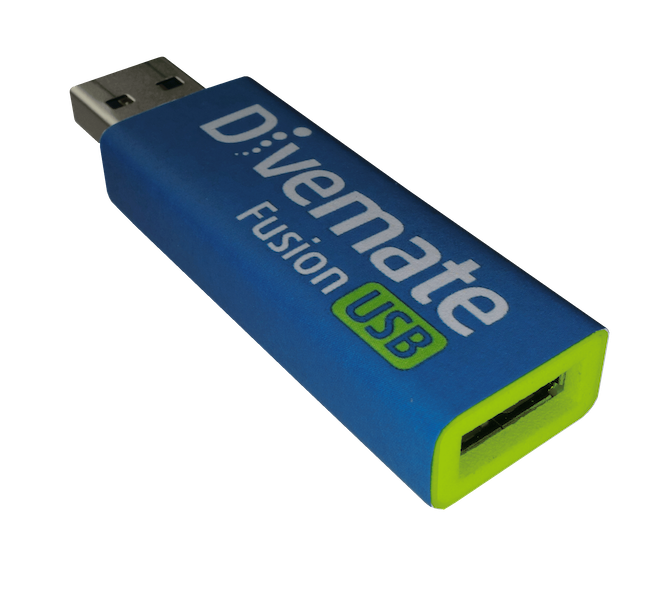 The FusionUSB is a robust adapter that enables you to connect your dive computer to your Apple iPad, iPhone and iPod touch® running DiveMate for iOS. It is super simple to use and requires no batteries. FusionUSB is made for dive computers that have a USB interface.